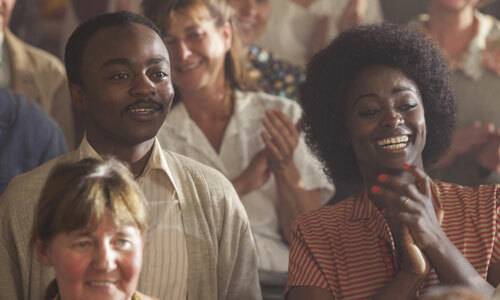 The fish out of water movie is a such a staple of movie making that it’s hard to get it wrong, and The African Doctor, which is based on a true story, covers familiar narrative ground with ease, while providing a lightweight yet enjoyable experience for the casual viewer. Try as you might, to rail against this movie because of its simple premise and equally simple mise en scene is like railing against the air for being intangible: there’s just no point in doing so. Combining drama and comedy to good effect, it’s a movie that has no trouble in entertaining its audience, even though it tells a familiar story. 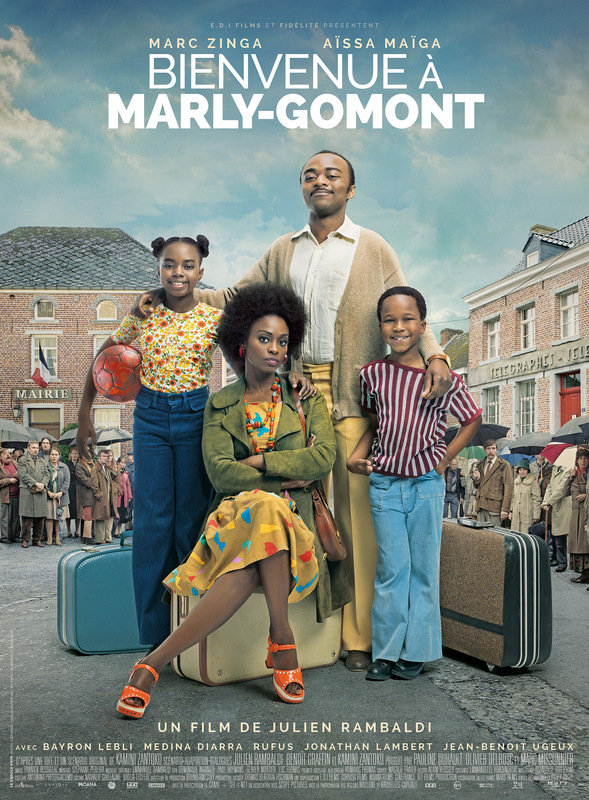 Based on the reminiscences of the comedian/singer Kamini when he was a child in the Seventies, the movie introduces us to his father, Seyolo Zantoko (Zinga), on the day that he graduates from medical school in Paris. Originally from Kinshasa in Zaire (now the Democratic Republic of the Congo), Seyolo is unsure of where his future will take him, but having been offered the role of personal physician to Zairean president, Joseph-Desiré Mobutu, and turned it down, he finds himself being offered the role of physician in the small, rural village of Marly-Gomont. A position that’s offered to him by the mayor (Ugeux), Seyolo takes it because he doesn’t want to become corrupted by being so close to Mobutu, and to give his children a better life than they might have under Mobutu’s rule. His wife, Anne (Maïga), and two children, Kamini (Lebli) and Sivi (Diarra), travel from Zaire to be with him, and are less than impressed by their new surroundings. Inevitably, Seyolo’s presence in the town is seen as unnecessary and unwanted, as the villagers hold fast to their entrenched beliefs and avoid going to him when they’re unwell. Seyolo ingratiates himself with some of the menfolk but to no avail; he still can’t attract any patients. In order to have money coming in he goes to work for a local farmer, Jean (Rufus), and it’s not until he delivers a baby that he’s accepted and the villagers begin coming to him with their medical issues. But political machinations – the role of mayor is up for election – see Seyolo barred from practicing medicine until certain immigration issues related to his seeking French citizenship are overcome. It’s not until the day of the election that Seyolo discovers just how highly regarded he is by the village, and what a difference a school play can make in determining his and his family’s future. The key strength of The African Doctor – a clumsy title that doesn’t do the movie itself justice – is Rambaldi’s relaxed, almost carefree directorial style, a major plus for a movie that deals with its more dramatic moments in a quietly authoritative way, and which doesn’t descend into melodrama when it could so easily have done so on several occasions. Seyolo’s struggle to be accepted and to make a success of the clinic he’s been asked to run has its ups and downs (as expected), but it’s not the run-ins with the villagers that makes his struggle so difficult but the effect it has on him and his family. Seyolo faces a greater struggle in convincing Anne that he’s made the right decision for their family, and his bringing them to Marly-Gomont has been achieved under false pretences (they don’t know about the offer of being Mobutu’s personal physician). He also doesn’t learn from his mistakes: when Anne learns that they could have stayed in Kinshasa, it causes a rift in their relationship that is damaged further when he agrees to remain in the village at the mayor’s request and he doesn’t consult her about it. The family dynamic is one that the script – by Rambaldi, Benoît Graffin, and Kamini himself – keeps returning to, and a subplot involving Sivi’s desire to play football (which she’s very good at) is allowed to take centre stage towards the end. It’s here that Seyolo realises his true worth to the community, and where his misguided attempts at making decisions for his family are left behind. It’s also at this point that Seyolo’s journey, one that began when he came to France to study medicine, reaches its true end stage, and his “arrival” in Marly-Gomont is complete. The subtle themes of acceptance and rejection that have been threaded throughout the narrative are given due acknowledgment, and the material as a whole, which has been buoyant even in its most dramatic moments, ends on a bittersweet note that is entirely fitting in relation to what’s gone before. For many viewers, The African Doctor will feel derivative and/or predictable, and while much of what takes place isn’t exactly new, that’s not the point. Kamini, with the support of Rambaldi and an experienced cast, has made a tribute to his father that is both heartfelt and unafraid to show the man as less than perfect. His story may be one that we’ve seen before, but there’s a quiet dignity about Seyolo that stands out, and it’s given full expression via a captivating performance from Zinga, who captures the man’s sense of pride and determination to succeed, and the humility he experiences towards the end. Zinga is matched by a terrific performance by Maïga, who perfectly expresses the resentment and anger Anne feels towards her husband for treating her so poorly. Balanced against these portrayals however is an unnecessarily smarmy and wince-inducing turn from Lambert as the mayor’s chief political rival, an uninspired visual style, and an annoying, often grating score from Emmanuel Rambaldi (the director’s brother) that sounds as if it was composed for another, more whimsical movie altogether. These are problems that Rambaldi cannot solve (and could be said to have encouraged), but overall, it’s the quality of Seyolo’s story that wins out, and which makes this a movie to look out for. 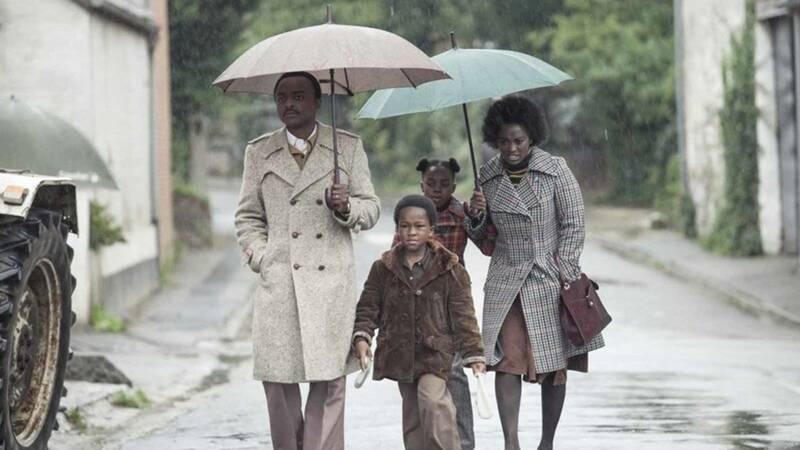 Rating: 7/10 – an engaging movie about fitting in and finding a place in the world that suits both an individual’s needs and aspirations, The African Doctor is a small-scale, yet largely enjoyable love letter from a son to his father; though cultural and racial divisions abound, this isn’t about one man overcoming feckless hostility, but instead it’s about one man’s commitment to himself and his family, a universal theme that is played out with a great deal of charm and sincerity.